biotechrabbit™ Hot Start Taq DNA Polymerase is a first-choice hot-start PCR enzyme for all demanding PCR applications. 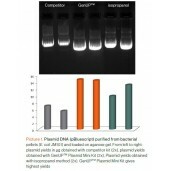 The enzyme ensures high product yields with low background and without primer–dimer formation and nonspecific priming. 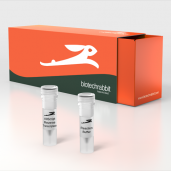 The Hot Start Taq DNA Polymerase is inactive during reaction setup due to the bound antibody which is quickly released at elevated temperatures, ensuring the enzyme is active only during PCR. There is no need for prolonged heating or denaturation steps. 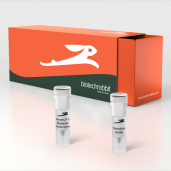 The optional use of 5× PCR Enhancer improves PCR results in many cases, including impure template or low template abundance. One unit is defined as the amount of enzyme required to catalyze the incorporation of 10 nmol of dNTP into acid-insoluble form in 30 minutes at 72°C in the presence of the reaction buffer. 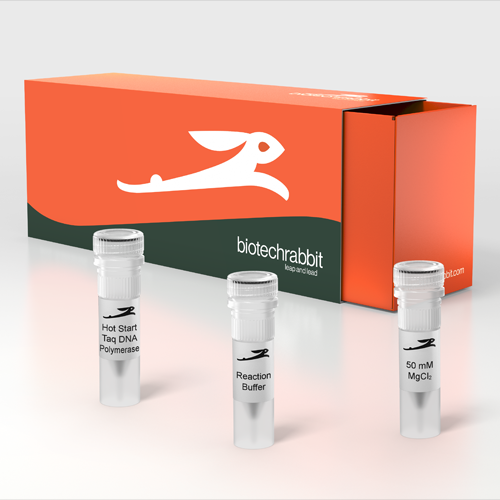 The standard PCR protocol using biotechrabbit reaction buffer provides excellent results for most applications. Optimization might be necessary for certain conditions, such as high GC or AT content, strong template secondary structures or insufficient template purity. 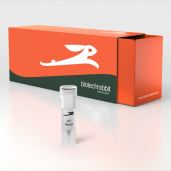 In such cases, optimization of template purification (see biotechrabbit nucleic acid purification kits), primer design and annealing temperature is recommended. If unspecific amplification occurs, the amount of Hot Start Taq DNA Polymerase and the primer concentration can be reduced. Correspondingly, these can be increased when yield is low. 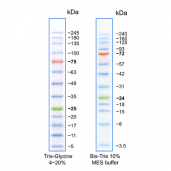 For total reaction volumes other than 50 µl, scale reagents proportionally. *Recommended annealing temperature is 5°C below Tm of primers.